The beginning of trademarks dates back a long time. Many archaeological testimonies show how craftsmen usually branded their productions to give them, in some way, a distinctive sign. Nevertheless, the characteristics of modern trademarks went through a long process of evolution. In the middle age the corporations had both the monopoly on sales and the distinctive symbol of their productions. In other words, they did not allow craftsmen to develop their own “signature”. Then, with the Industrial Revolution, the issue on using signatures as a trademark did not only preoccupy the merchants but also the industrialists. Subsequently, the promotion and publicity of trademarks were supposed to give an image and a modern value to their concept. Today, the trademark is becoming one of the most representative demonstrations of modern age and its purpose changes into a social concept in which the consumer is identified. The Federal Institute of Intellectual Property of Switzerland has its headquarters in Berne. Founded in 1888, it has always been in charge of matters concerning intellectual property in Switzerland. On 1st January 1996, it obtains the status of an autonomous public establishment so as to have its own legal personality and to be entered in the Register of Commerce. 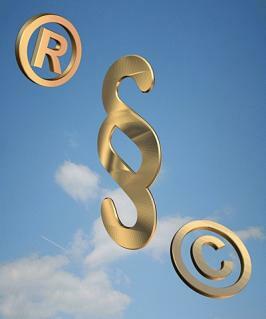 The World Intellectual Property Organization (WIPO) is a specialized agency of the United Nations. Its objective is to develop a stable and accessible system of international intellectual property in order to reward creativity, to stimulate innovation, to contribute to economic development and to finally safeguard public interest. The WIPO Agreement was concluded in 1967, attached to the member States’ mandate to promote the worldwide protection of intellectual property with the cooperation of these States and other international organizations, whose headquarters are in Geneva (Switzerland).